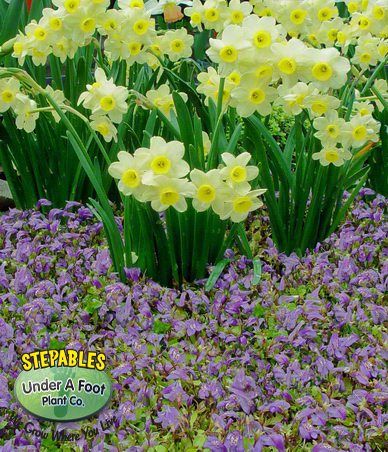 Mazus reptans is a super tough and durable STEPABLE Creeping Perennial that becomes covered with abundant, tiny purple flowers in early spring. 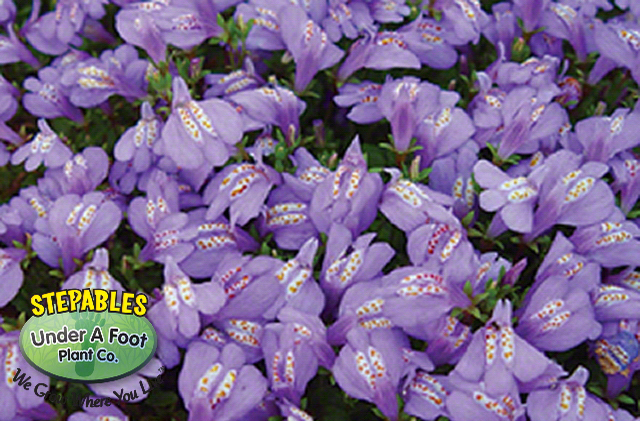 Purple Mazus is a fast growing perennial ground cover that has bright green leaves that creep and hug the ground. 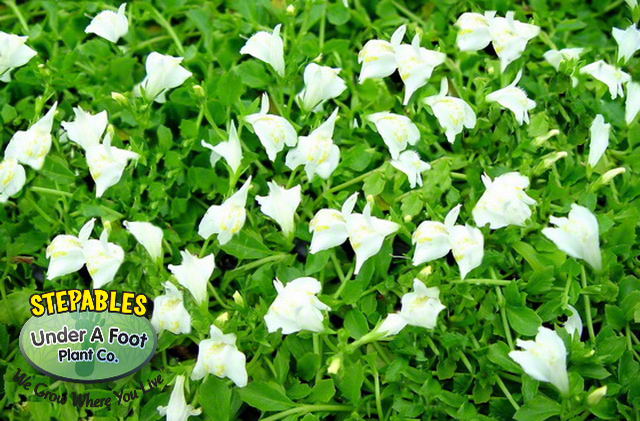 Use Mazus as a lawn substitute, to fill voids in patios or tuck in between stepping stones. 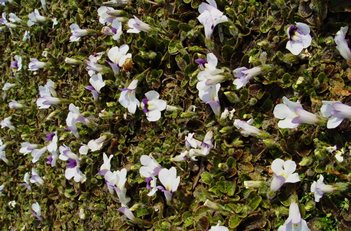 This versatile plant will take more than its share of abuse and keep on growing! One of the oldies but goodies. Always a winner in the garden. 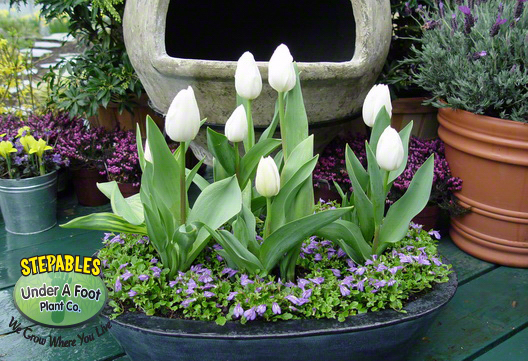 Looks great with mini daffodils and tulips or around your evergreen shrubs and along your slate. That’s why it’s one of our Tough Ten!